Unique conical design reduces back pressure through the material path improving your existing dispense results. The unique design eliminates clogging due to high pressure build up through a long tube. 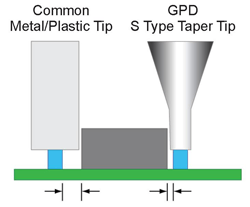 Dramatic difference in distance between component and the different types of nozzle tip. Smallest O.D. for given I.D. More rigid for given I.D. 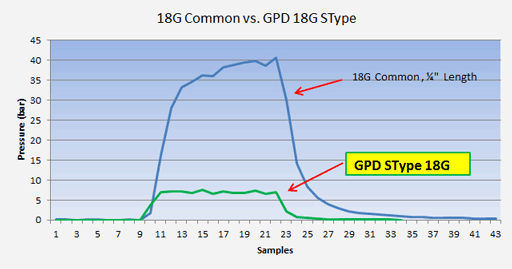 Contact GPD Global regarding other standard metals.